Video DVDs are often useful in sharing the Good News of Jesus Christ. 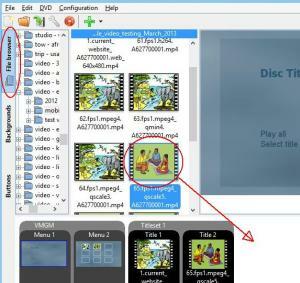 These instructions explain one method of creating Video DVDs for specific people groups you are trying to reach, using videos available from the GRN website. 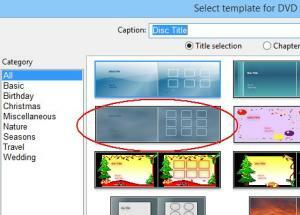 DVDStyler is free software that allows people to create professional-looking DVDs. It will make a menu system, and convert the MP4 slide show videos into a Video DVD playable on most DVD players. What type of DVD players are being used - NTSC or PAL? What is the most appropriate screen aspect ratio - 4:3 or 16:9? What written language is most appropriate for the user navigation of the DVD? Download the "web" quality MP4s from the globalrecordings.net website which you wish to share. Here are some basic steps to use DVDStyler (v2.7.2). Find the MP4 files, and drag each file, in the order you wish them to appear, down to the bottom of the main window. Menu design: Click on "Menu 1" icon at the bottom left of the main window. With your mouse, select the text and modify as appropriate. Do the same for the other menus. Add, modify and delete text as appropiate. 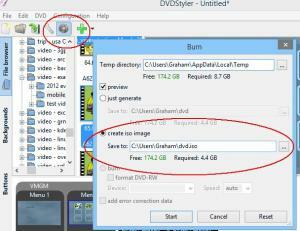 Use another DVD burner software to burn the ISO image onto a DVD. (We use CDBurnerXP.) Make sure you "finalize DVD". Test DVD on a DVD player that is similar to your target audience. See the DVDStyler website and help guide for more instructions.